Handsome twenty-eight-year-old Will Hallerman has finally had enough of the dating world—he’s ready to find a wife and settle down. This announcement is catastrophic in Hannah Becker’s world. After knowing Will her entire life and adoring him from afar since junior high school, she realizes her chance at love with him is in grave danger. Hannah’s problem? To Will, she will never be more than his best friend’s little sister. Determined to open his eyes to her charms, Hannah sets out to sabotage Will’s wife hunt by placing nightmare dates in his path and taking his search on a wild goose chase. 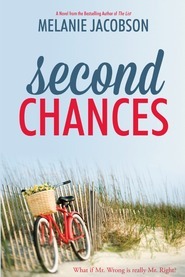 Her plan is risky, but she’s willing to take a chance to catch the eye of her soul mate. Despite her crazy schemes, nothing seems to be working. Hannah can’t help but wonder if it’s time to set aside this childhood crush—to move on and settle down herself. She’s ready for a fresh start with a great guy. If only Will weren’t suddenly changing the rules of the game . . . And how can Hannah move on when Will just won’t let her forget? Seriously! This exceeded my expectations. I wasn't sure I was going to like this book at all because I thought that Hannah was going to be whiny and not have the guts to do what needed to be done. I was so surprised and happy when she did! I was surprisingly happy with the end. I would have enjoy more truth from Will about some of the things he did when in the role of brother, like wresting just to touch her kind of thing. As always, Melanie Jacobson doesn't disappoint! A fun light-hearted romance that comes to a beautiful conclusion. Hannah and Will's friendship changes as Hanna's friend (actually her brother's friend, but hers too) Will decides to seriously look for a wife. Hannah decides to sabotage his efforts so that her long-standing crush won't be jeopardized. After Will registers for an internet dating service with Hannah's help, Hannah decides that she should do the same, and date too, to see if she can cure herself of her crush, and move on so that she won't be left bereft if Will succeeds. Will is a fun character nerdy, fun, laid back, and genuine. He attacks his problems very analytically, but doesn't see Hannah right before him until she finally drops the bombshell that she has never gotten over her crush that she has had on him for years. She told him as a teen that she loved him, and has tried to keep the 'friends' status there, torturing herself all the while with nearness and contact with Will over the years. Her best girlfriend, Sophie, is the one who challenges her to tell him again, and to be honest about how she sees him. Will's reaction, and her reactions to her declaration put them both in tail spin, trying to let go, and hold onto the comfortable friendship that they have cherished, while figuring out the nuances of this new thing. With their individual dating, worries about Hannah's brother's reaction (each in their own way), it was fun to see how this all resolved and how they stumbled through. The story is told from Hannah's perspective, as she tries to sabotage Will's dating, and tries to at least hold onto the friendship that they have. Her agony, and struggles to try to get Will to see the woman that she is instead of the girl she was, was cleverly done, and a fun read. 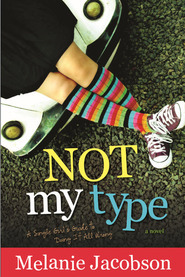 Great side characters, the dates are funny, and while MJ repeats the internet dating scenario she has used in other novels, this is still a fresh, tender, fun novel that will leave you satisfied. Hannah has always been in love with Will but he considers her a sister--after all, her older brother Dave is his best friend. They enjoy hanging out together and life is going well until Will announces to Hannah that he is going to seriously look for a wife. She panics and decides that she needs to "help" him so he will attract all the wrong girls for him. I laughed quite a bit as Will kept questioning what Hannah was doing and she quickly reassured him that, as a woman, she knew how to sell him. I enjoyed all the characters in this book. Will and Hannah were both likable and their banter was fun to read. She has a best friend, Sophie, who is a good sounding board for her as she helps her figure things out. From the outside, Hannah appears to have everything, but all she wants is for Will to notice her as a love interest and her feelings and emotions are all over the place. There are some crazy moments along the way to a satisfying ending! This is a fun, quick, entertaining, clean romance that I personally enjoyed from beginning to end! Mixed feelings alert! I couldn't decide if I wanted to read this as fast as possible to see how it would all end up, or if I should savor each word and situation so I didn't miss anything. What a dilemma! Hannah has found true love. With her older brother's best friend. The only problem is, he just doesn't know it. Really. Could anything be more frustrating? I love the humor, fun, heartache, and self-evaluations that occurred in this darling romantic comedy! I love a good story about a childhood crush and this one is great! I love the witty banter and easy relationship Will and Hannah share. I know all too well how hard it is to see someone you've known for so long as grown up and capable and Will definitely struggles with this. Will is a math whiz and thinks in terms of problems and solving and equations. Hannah is similar, yet she feels things and feels them deeply. Her thinking terms are much more complex and fascinating, if a bit manipulative. When Will decides to find a wife and uses algorithms and online dating sites as a source, Hannah is determined to undermine his chances and tries to get him to see that she's the one for him. Let the games begin! I don't know if it is possible to feel more frustrated by Will than I did at times. He's completely clueless and just meanders along the friendship path he's always known. Yet, he's utterly sweet and adorable. I couldn't believe how sweet he was in the headache scene. I was frustrated with Hannah as times, too. Sophie, her best friend, kept telling her to come clean and she just couldn't. So much could have been avoided! Ah, the emotion is fabulous. Melanie Jacobson is an auto buy author for me. She always delivers such great stories with fantastic characters! Content: mild romance (kissing). Nothing else of note. Clean! Love, love, love. That's what I have for this book. Why? This book drove me nuts! I was ready to pull my hair out in anticipation, frustration, COME ON ALREADY! Hannah has loved Will forever. When this book starts, they are the best of friends. They know each other well. But Hannah longs for more while Will seems content to treat Hannah like a sister. Will sure seems pretty dense for most of the book because Hannah is giving off some strong signals. It was pure agony to see Hannah try so hard and get nowhere in her quest. My poor little Hannah! I loved the dialogue in this book. It was entertaining and snappy. Just how I like it. Man, I have to say that I barreled straight through this book. I could not put it down. It was a sort of frenzied reading I was doing because I just had to get to the end before anything else in my life could happen. ha! I seriously love when that happens. This book is so fun. I was fully caught up in this romantic comedy (clean!) and I loved it. 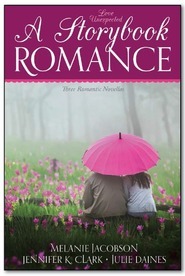 Melanie Jacobson is amazing at writing clean, fun, romantic modern romances! I have bought and enjoyed every one of them. This book is no exception. I loved the fun Hannah. She's always hung around Will and her older brother Dave and just because Dave got married and moved for his job, there's no reason for her not to hang out with Will. Except for the fact that she's been in love with him since she was a teenager. And there might be the fact that he's so stupid he's never noticed. I have to admit that for the most part, I liked Will, but there were some parts in the story that I wanted to smack him into seeing Hannah the way that she wanted to be seen by him! Will decides that it's time to get married and that spurs Hannah into action, making his online dating profile into something that she is hoping other girls will see as boring, not someone they want to date. This is what really makes the whole book, it's so fun the way that Hannah goes about trying to not only sabotage his only dating, but also make him see that she is a desirable girl that guys want to date. I love that Hannah is not afraid to be just who she is. So many times in books, the female character goes around trying to be what she thinks the guy wants, but Hannah is a strong woman, willing to let guys see that sometimes she makes mistakes and is a bit weird, but she's also a smart, talented, amazing woman. I loved the way that this one ended, but for most of the book I really wasn't sure that Hannah was going to get her happy ending. Make sure you grab this great book, you won't regret it! Fun, adorable, fun, sweet, fun, enjoyable, did I mention fun! It was so fun to watch Will and Hannah together--best friends with a hint of flirting. This book is written for all women who have ever had a "crush." You will totally enjoy this one! I read everything Melanie writes! Always Will is a very entertaining, quick and clean read by Melanie Jacobson. It's not mind blowing, or even a new type of story, but it's definitely one that held my attention, and has a romance you couldn't help but root for. I stayed up well past midnight reading. I really enjoy how Jacobson includes Internet dating in a lot of her stories, especially because that's how she met her husband and knows that it can work. Don't get me wrong, it's not for everyone (I never tried it when I was dating), but it's a fun aspect to her stories. And, even though the romance you can't help but push for in this story isn't an online connection, it's just what our lovebirds need to get things rolling. The friend crush was also a great aspect. Really, this is just a fun read that is very Melanie Jacobson. If you are a fan, you should definitely check this out. And, if you haven't read any of Melanie's books yet, this would be a great place to start. A different sort of romance. I've read a number of books that involve someone falling for a brother or sister's best friend. I'm not quite sure what felt so different about this one, but it wasn't quite like any romance I've ever read before and that's a good thing. Hannah is a sympathetic character right from the get go since it's obvious that she has unrequited feelings for her brother's best friend, Will that aren't returned. 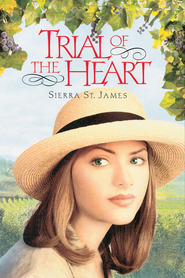 And when Will creates a plan to find himself a wife, Hannah comes up with a plan of her own, hoping to get Will to see her as more than her brother's little sister. But like many such plans things don't go the way either of them hope and instead they end up with a friendship on the verge of implosion, something neither wants to lose but aren't quite sure how to work out. The miscommunications complicate things as the two struggle with their own feelings and making decisions about what to do next. I like the fact that Will is a brilliant scientist who isn't very 'in the know' about feelings and relationships and even Hannah herself is awkward sometimes and yet their friendship is clearly a very solid one despite their issues. I enjoyed reading this clean romance and shaking my head with a sigh as the two dance around things for a long time. It's interesting though that since the book is told through Hannah's point of view, that I didn't get a look at Will's point of view until the end when he's trying to express it and it turns out to be quite surprising. A fun reminder that things are always as they appear to be. This contemporary romantic comedy was better than a hot fudge sundae. Serious. The characters are spectacular. Hannah is witty, intelligent, strong, but flawed. Will is brilliant and wonderful too, except he’s dense as concrete when it comes to love. The dialogue and friendship between these two kept me smiling and laughing the whole way through. The side characters like Sophia were great too and added lots of laughs through their conversations. I couldn’t put this book down. I started it one night and finished it the next day and couldn’t stop thinking about the characters. The scenario of the heroine being in love with her brother’s best friend for 12 years was crazy, and Will seemed a bit clueless not to have acted on that before the book starts. But crazy scenarios make awesome books. I loved seeing what Hannah was willing to do to sabotage his efforts to find a wife. I won't mind reading this one again. ***I received a copy of this book from the publisher in exchange for my fair and honest review, and I highly recommend it.